This past week, I got over my illness. I've felt better and better each day. So I took advantage of it, and started up my daily workout routine again. I am really excited even if a bit apprehensive for this week. If everything goes well, I should get my first actual running workout in a bit later today. I only plan on doing as the Dr. and PT recommended and starting out with 20-50 meters of running, preceded and followed by walking. That may not sound like much, but its a start to a long process of getting back into it all again. If no pains, or re-pulls on the injury, then I will likely do it again Wednesday at either the same or just slightly more. Possibly by Friday working up to 100 meters. So fingers crossed, as long as the injury doesn't act up then I will consider it a success and my slow start to getting back to running again. 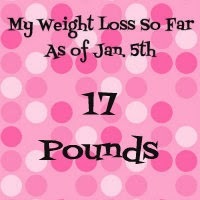 As for my weekly weight loss progress, I only lost 1/2 a pound. But I actually consider that a huge success. Because after loosing so much weight while I was sick, I was sure I'd gain a good portion of it back when I started feeling better and got my appetite back. So all in all, I am pretty happy with the week! 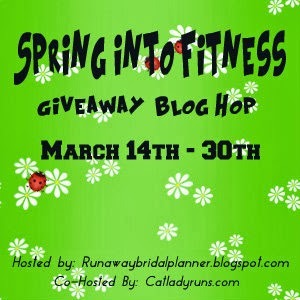 I want to give a little mention of the Spring into Fitness Giveaway Blog Hop coming up in a few weeks. A blog hop is a group of blogs that join together for a fun giveaway link up. Each blog hosts their own giveaway, and at the end of their giveaway will have a link to the rest of the blogs in the hop. Its a great way to discover new blogs, and find new blog followers. There is still 2 weeks left to decide if you want to join up with us. If your interested, need more information. Make sure you CLICK HERE and read all of the rules before signing up. After you've read the rules, if you are interested we would love to have you join our growing list of bloggers in the blog hop. I wish I had more to report, but rather than bore you with mundane details, I think I will just keep this week's ME post a little on the short side. 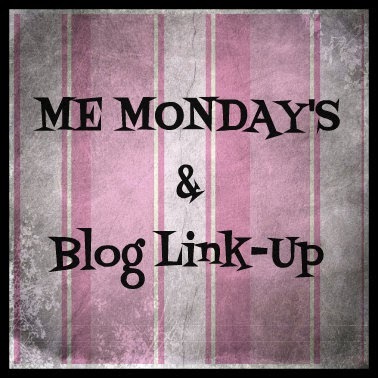 If you have a blog post today that you want to link up, you can link it up right below. Have a great week everyone!! Glad you are feeling better Kristy! We will more than likely participate in the blog hop. Just need to confirm what we will be giving away! Thanks! Love to have ya join up if you have something to giveaway! Great job on your journey to health and weight loss. It's inspiring! I'm way too lazy and I've read too many of these healthy living blogs lately for it not to start pulling on my 'get up and move' strings! Thanks for sharing a piece of your journey! Great job on your weight loss so far, it is always inspiring to find people like you who are open and proud about their weight loss journey. Is the blog hop open to international residents? Thanks Lauren! Yes the hop is open to anyone both US and international! Congrats on the weight loss, I love the title of your blog. Glad your feeling better, It is hard to get going again after your hurt and/or sick. Congrats on the weight loss that is awesome a true inspriation. Thanks! yes it feels great to know I am finally healing!!! well I hope all is well with you..I hurt my calf in last weekends race..I am going to try and run..hop all goes well..thanks for hosting the giveaway!